Honda's 150HP engine represents our most advanced technology — ever! VTEC racing technology combined with our exclusive dual stage induction, produces a longer, flatter torque curve for max power at every speed. Add Lean Burn Technology, and what you have is more power with less fuel. The 150HP is based on the same engine that powers Honda's Accord, CR-V and Element automobiles. So you know you can expect long term durability and clean, quiet operation. 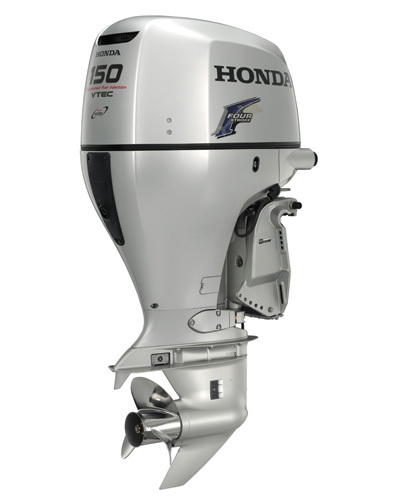 If you're looking for power that's very reliable and provides advanced levels of fuel efficiency, Honda's 150HP is your engine.